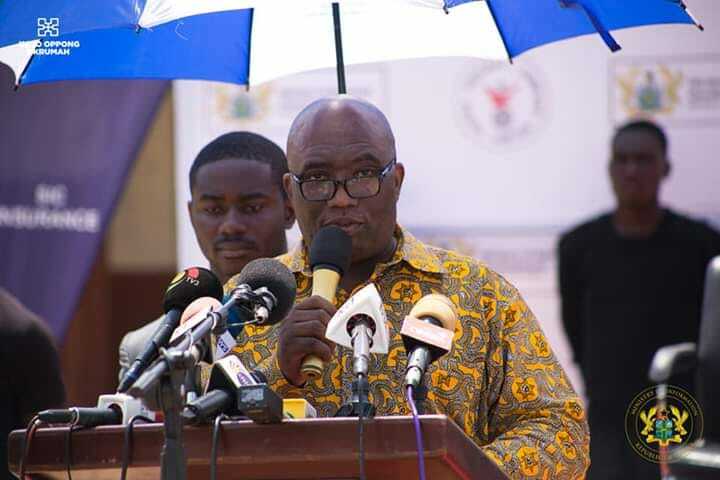 The Minister in charge of Railways Development, Mr Joe Ghartey, has hinted of a probe into the decision by the Accra Metropolitan Assembly to evacuate traders and commercial drivers at CMB. The minister told Kwabena Agyapong on Rainbow Radio 87.5Fm that, the ministry will investigate the matter in order for it to have a affair idea of the issues. Some aggrieved traders and commercial drivers held a press conference two days ago accusing the AMA of giving out the area to a private investor for the construction of stores. This they claim was at their blind side since there was no consultation conducted. They also alleged that President Akufo-Addo in 2016, promised to develop and turn the area into an ultra modern lorry station. Reacting to the concerns raised, the Minister said he will look into the matter. He has however, decried the encroachment of railway land, a situation he lamented affects the activities of the sector. He noted that every developed country had a railway system and this project, when it came into effect, would enhance economic activities, ease traffic congestion and reduce pressure on road infrastructure while reducing road carnages. The Ghana Railway Development Authority (GRDA) has in recent times demolished unauthorised structures on its land at CMB at Accra Central business district.